Home » Science/Tech » California Police Considers Posting DUI mug shots on Facebook? California Police Considers Posting DUI mug shots on Facebook? Police in a city ranked top in the state for alcohol-related traffic fatalities might soon be trying a new tactic to keep drunken drivers off the road: Electronic shaming on Facebook. Why would anyone be humiliated by posting embarrassing pics on Facebook? The police don't have to do it, people do it themselves all the time! Dwyer initially wanted the police department to post on Facebook photographs of everyone arrested for DUI in the bar-laden beach town just south of Los Angeles. He has watered down his proposal — now only repeat offenders would be featured on the virtual wall of shame — in hopes of winning support from the rest of the seven-member council, which is set to vote on the issue Tuesday. “There is a saying: Come to Huntington Beach on vacation, leave on probation,” said attorney Randall Bertz, who specializes in DUI cases. Bertz, a former police officer who has been defending such cases for 23 years, said uploading DUI suspects’ photos onto Facebook violates their right to privacy and would likely not be a deterrent to habitual drunken drivers. For its part, the Huntington Beach police department is pushing back against Dwyer’s proposal. Police spokesman Lt. Russell Reinhart said that since launching its Facebook page in November, officers have found it to be a valuable way of getting information to the public and soliciting tips on tough cases. Connie Boardman, a Huntington Beach councilwoman who opposes Dwyer’s idea, said posting the photos would have little effect on behavior. “That is going to result in tremendous humiliation for a kid who has no hope of controlling his parent’s behavior,” she said. Other police departments have already tried putting up a rogue’s gallery of DUI arrestees, though some of these attempts have been short lived. The Oconee County sheriff’s office in Georgia maintains a Facebook page that includes a photograph of a suspected child molester. Chief Deputy Lee Weems said typically, only photos of people who are convicted are posted on Facebook. A tabloid newspaper called “Bad and Busted” prints photos of all arrestees. In California, nothing can prevent a police department from releasing photographs of people who’ve been arrested, and state law compels police agencies to make certain information available, including the full name and occupation of everyone arrested, along with a physical description. 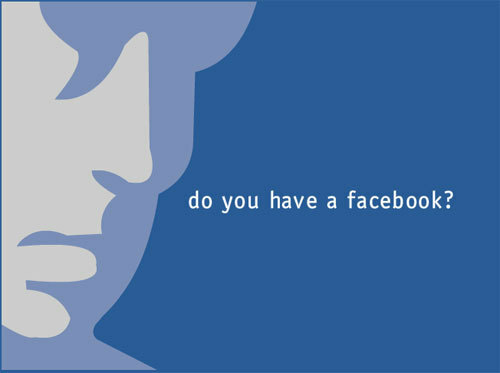 Docs Warn Facebook Can Cause Depression! Virus That Encrypts File and Asks Ransom Infects 250,000 PCs! Blackberry To Cut 5,000 Jobs! Infosys HR satish murders wife priyanka- How it happened? HBP has crossed hundreds of Millions!! !